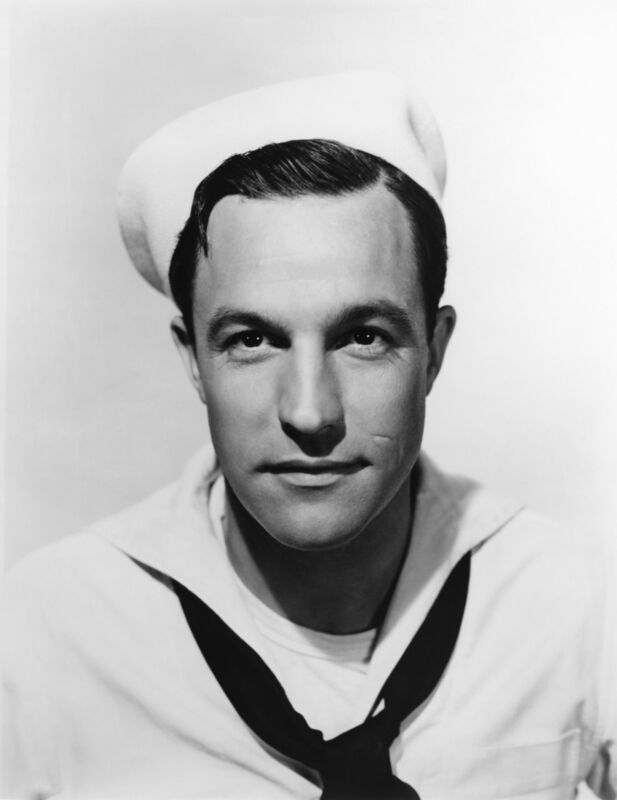 Gene Kelly The Basics: Did Gene Kelly Wear a Hairpiece? 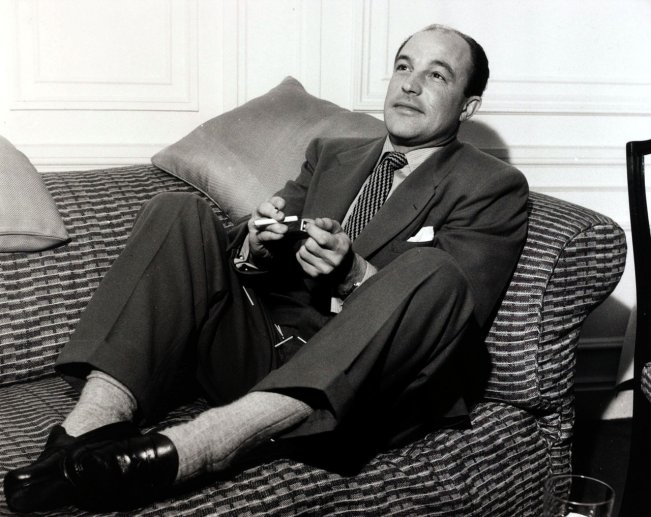 Did Gene Kelly Wear a Hairpiece? 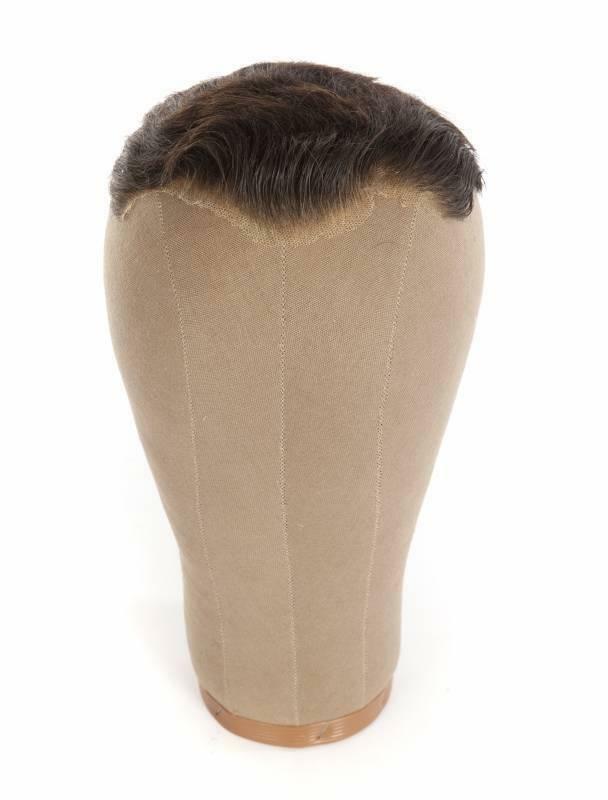 From Julian's Live auctions, this is one of four hairpieces custom-made for Gene Kelly. "Studio wigs at the time were custom-made and fitted to measure by the star's head and hairline." In fact, this Time column from 1954 claims that “nine out of ten male stars over the age of 35 [wore] ‘hair additions’ on the screen.” What’s more, most of them did not care. After all, any grown man in the ’40s and ’50s could order one from a magazine. ​Classical Hollywood stars wore toupees both on- and offscreen; sometimes offscreen, they wore no hairpiece at all. 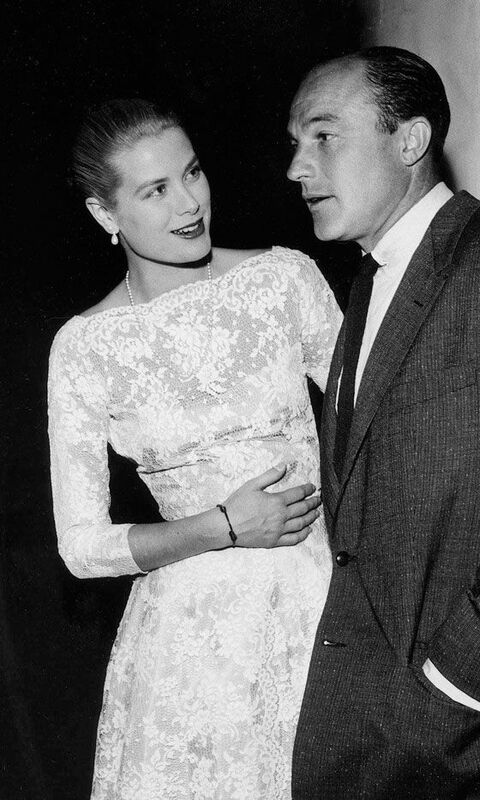 For example, here's Gene Kelly without his partial hairpiece hobnobbing with Grace Kelly at the Cannes Film Festival. And here he is again, sans toupee, enjoying a cigarette. The same, of course, goes for many women, who frequently wear weaves and hair extensions. At any rate, as this newspaper article suggests, Gene Kelly’s hairpieces must’ve been rather tough to withstand all that dancing and spinning. And you know what, most of his wigs also looked good. They’d better; Kelly's “hair additions” were presumably written into his MGM contract. 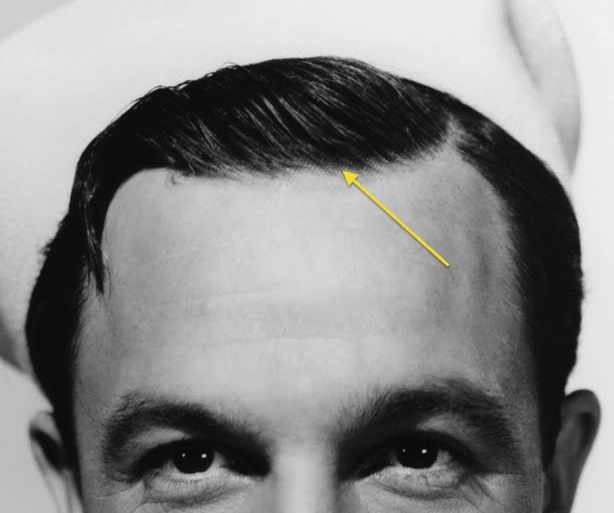 With that said, if one looks closely at Kelly's hair in this On the Town promotional photo, one can see the lace front of his partial hairpiece. No need to squint; here is a close-up.